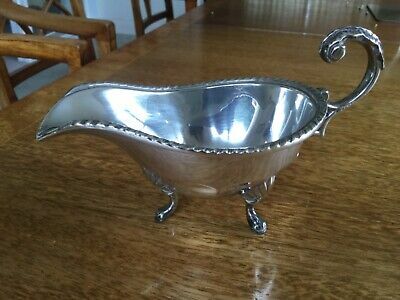 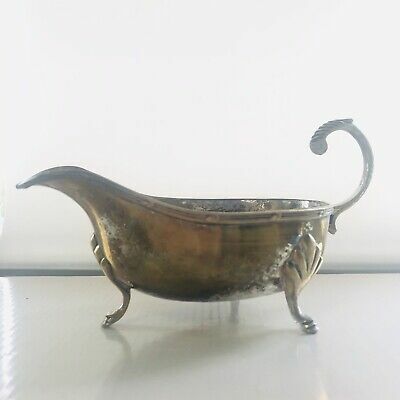 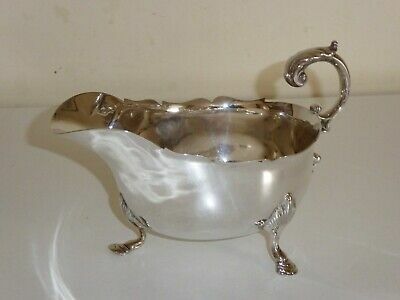 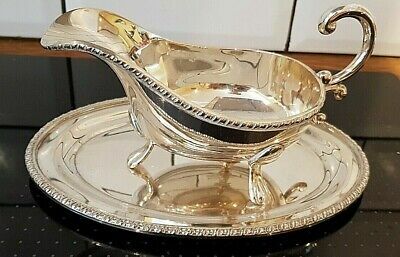 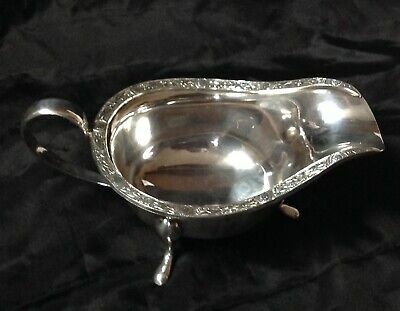 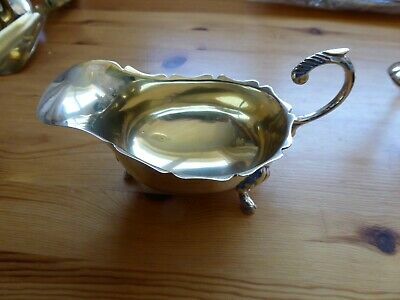 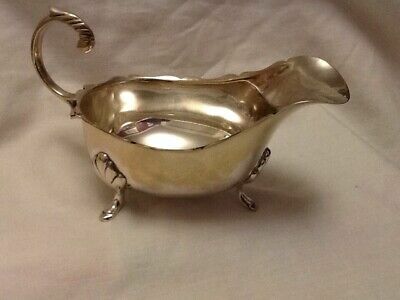 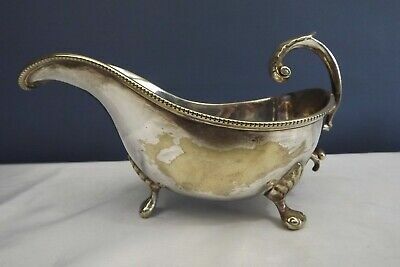 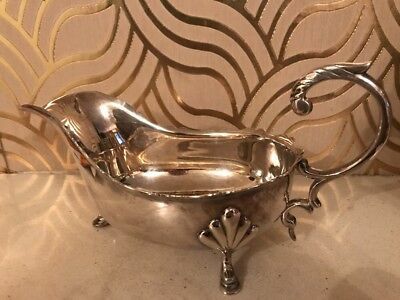 Vintage SB & M Birmingham, England, Silver Plated Sauce boat w/ Ornate Handle. 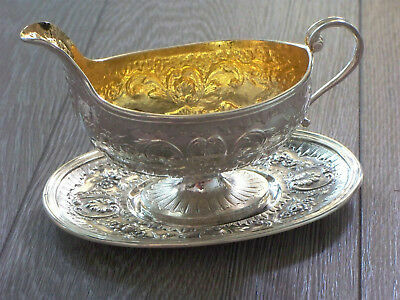 An Antique, Ribbon & Lace Patterned Edge, Silver Plated Sauce Boat / Gravy Boat. 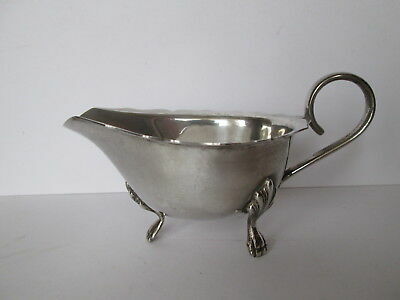 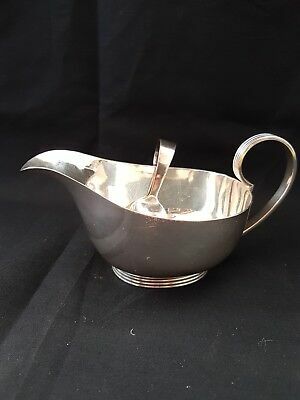 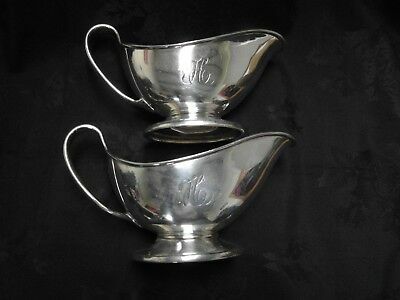 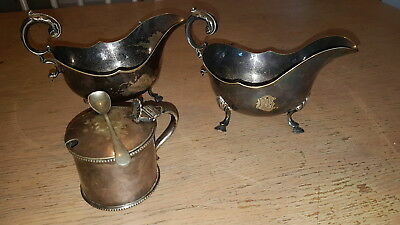 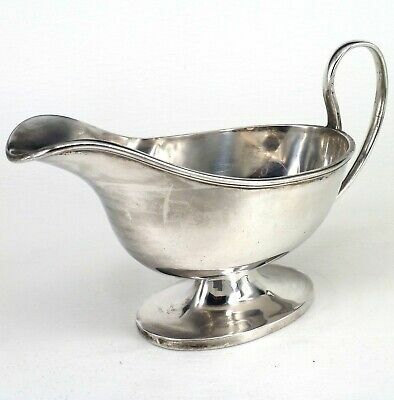 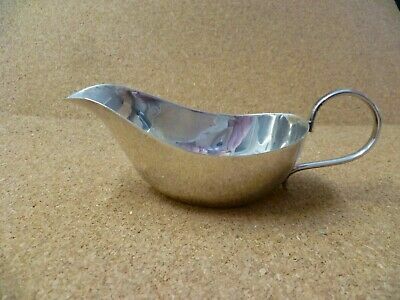 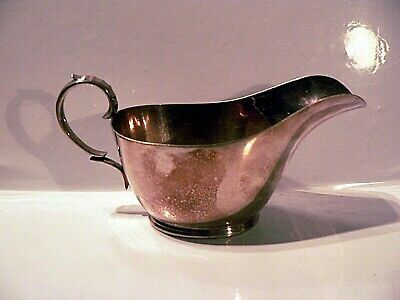 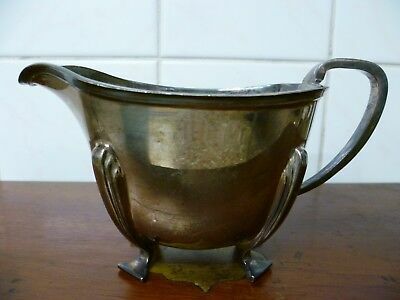 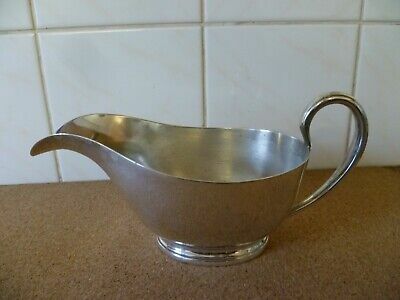 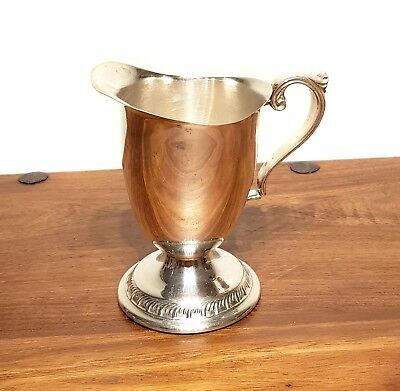 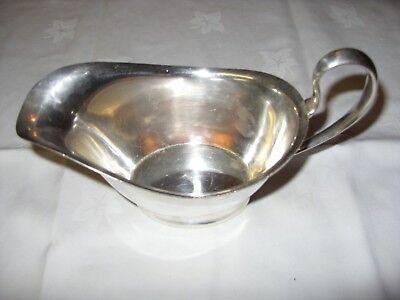 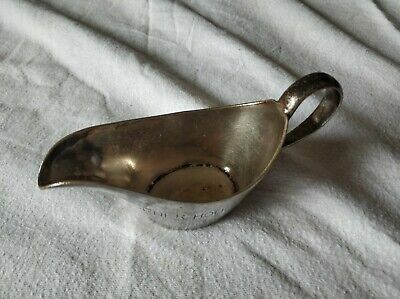 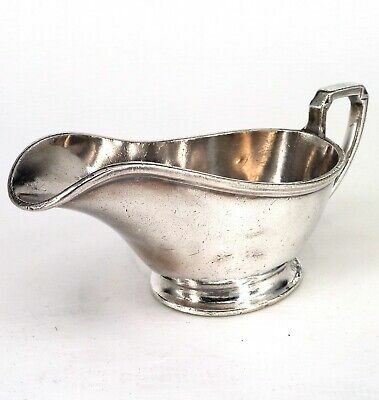 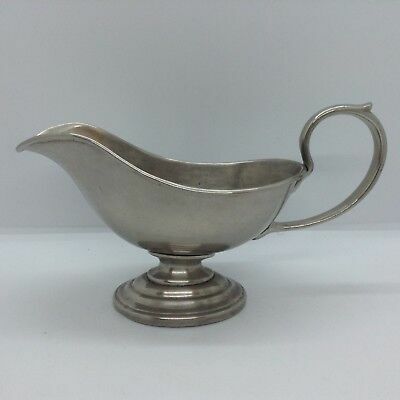 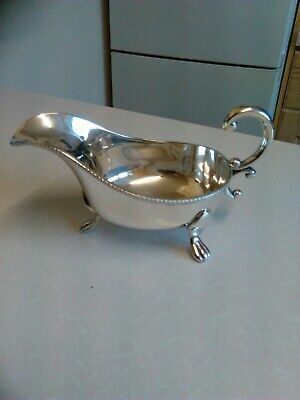 Antique Silver Sauce/Gravy Boat Used. 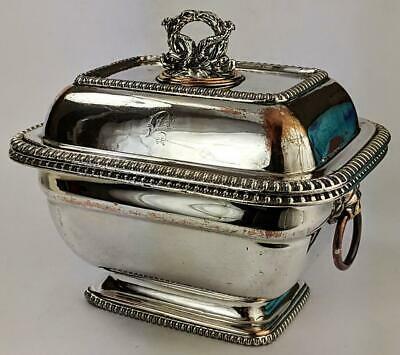 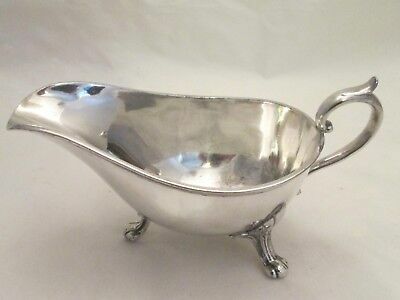 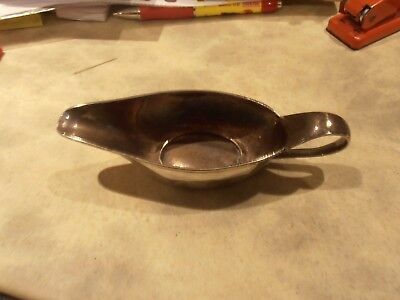 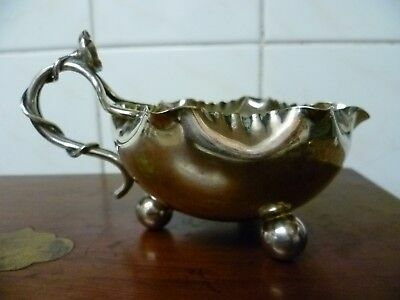 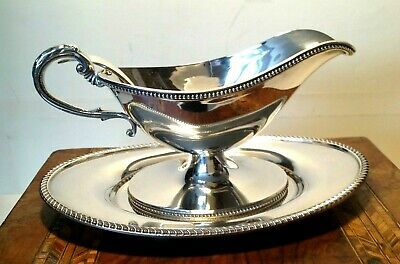 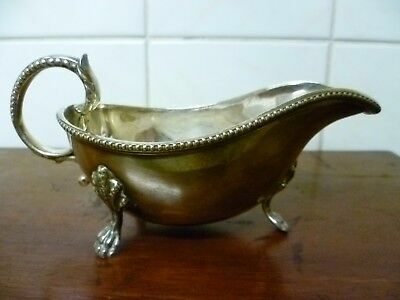 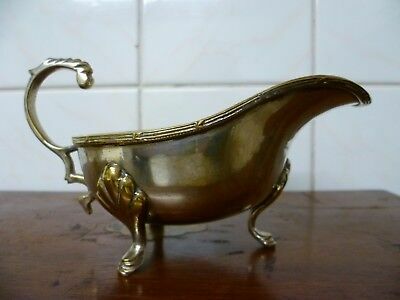 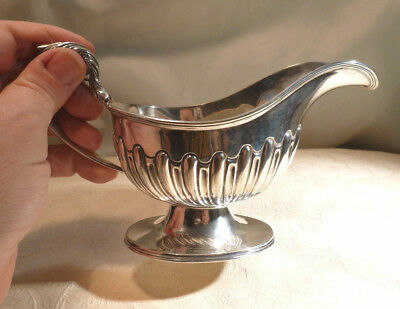 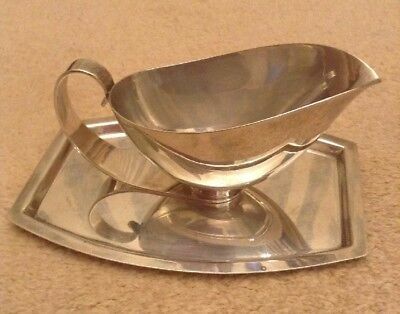 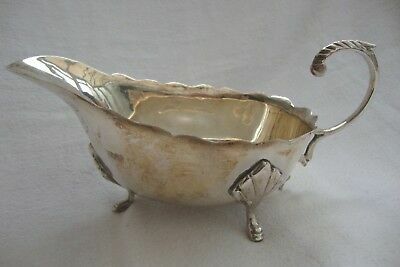 An Antique, Large Silver Plated Sauce Boat. 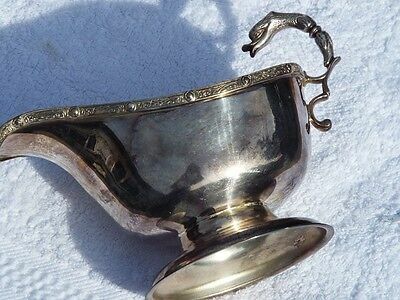 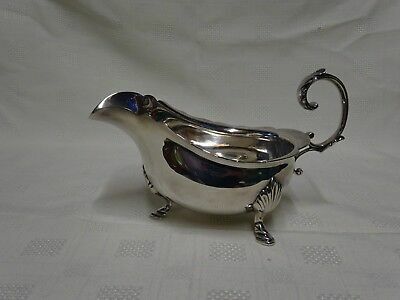 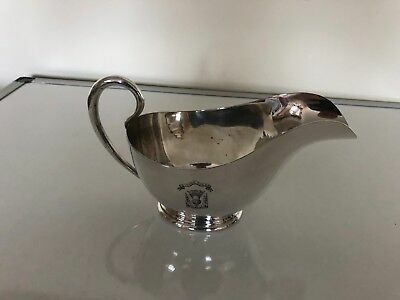 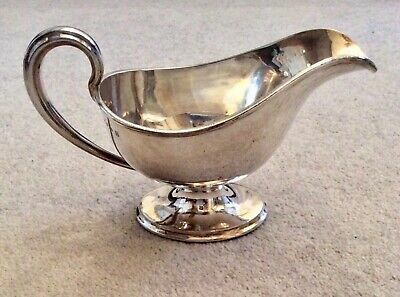 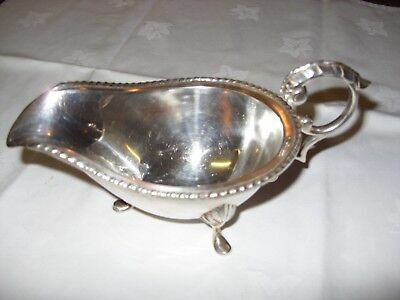 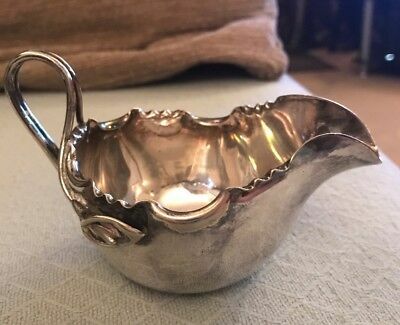 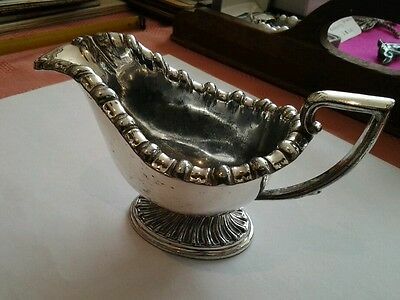 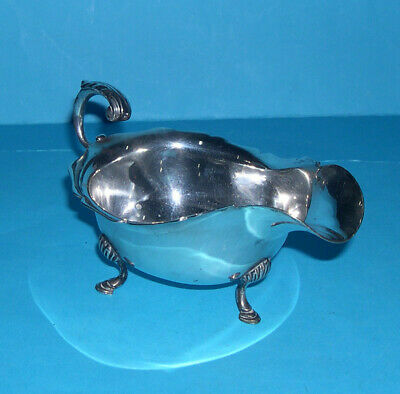 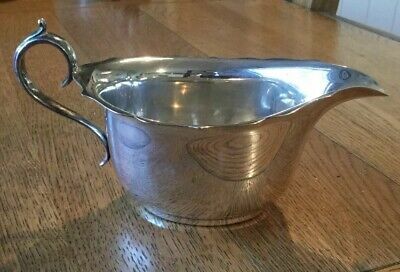 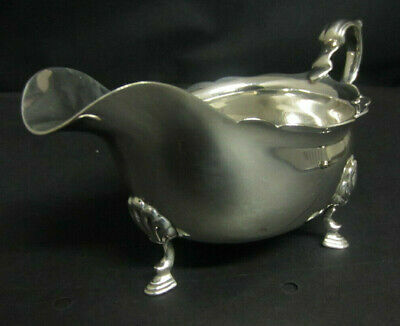 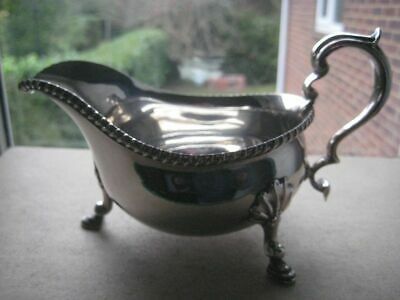 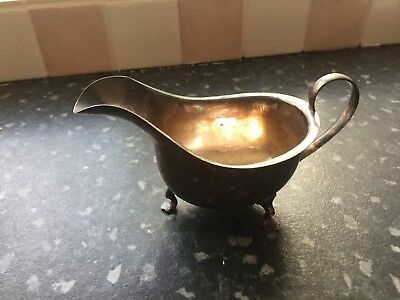 An Antique Silver Plated Gravy Boat. 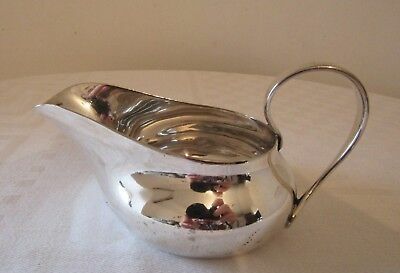 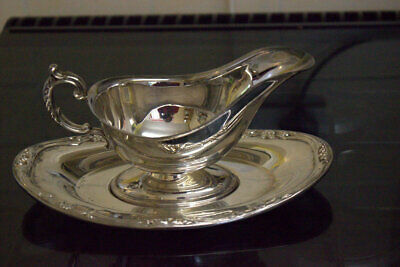 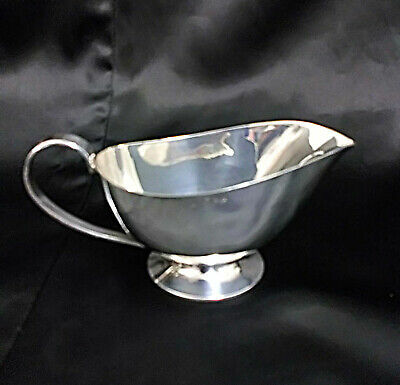 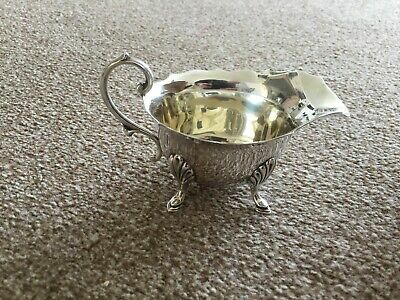 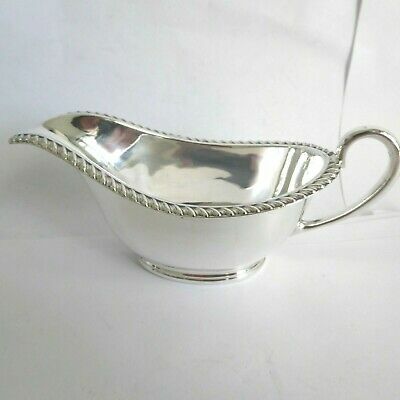 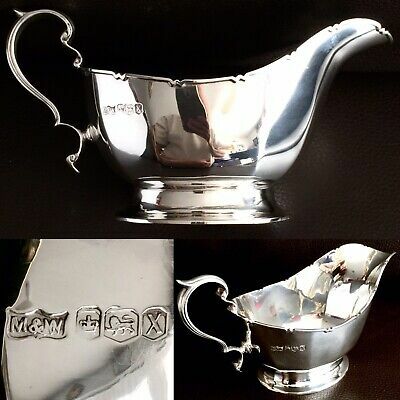 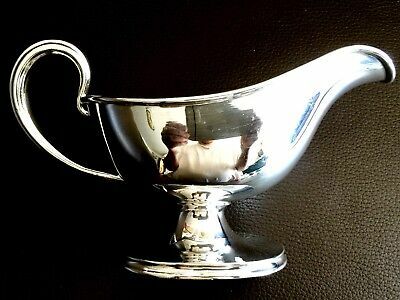 Super Art Deco Silver Plated EPNS Sauce Boat Tray Gravy Boat Jug Sheffield Regd. 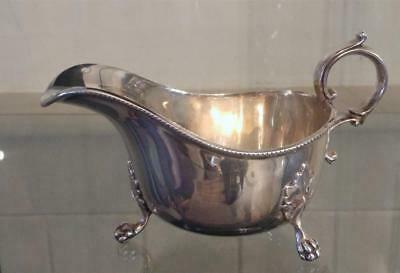 Q 374 gm silver sauce boat in Georgian style on hoofed feet & scrolled edge. 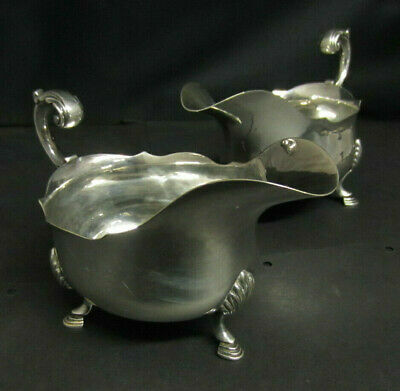 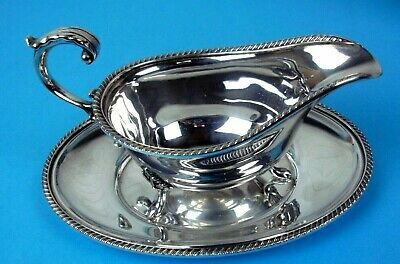 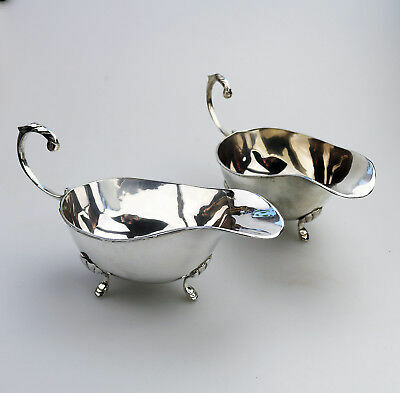 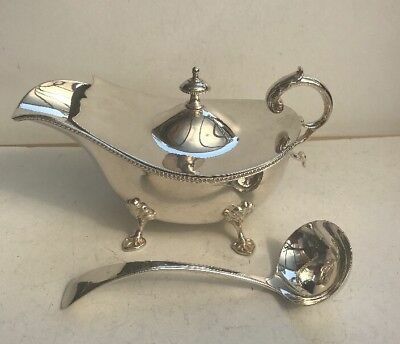 Elegant Silver Plated Sauce Boat & Stand. 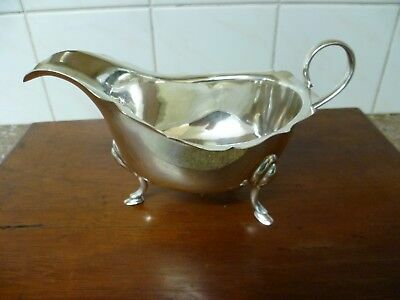 Jays Oxford Street - Attractive Helmet Shaped Silver Plated (EP.A1) Sauce Boat. 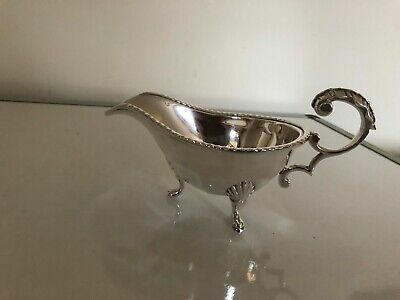 Lovely Silver Plated Footed Sauce/gravy Boat Crested " Sidera Duces"
Stylish Silver Plated Gravy / Sauce Boat - Approx 5oz - JHP S John Henry Potter? 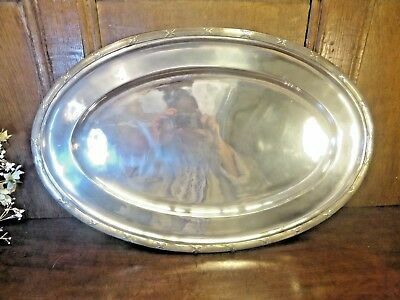 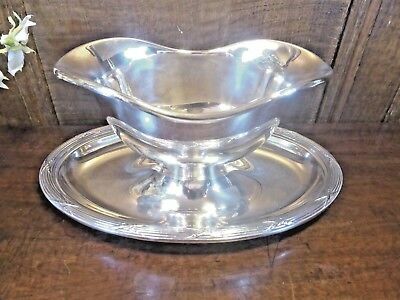 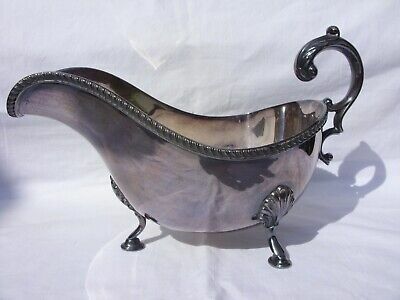 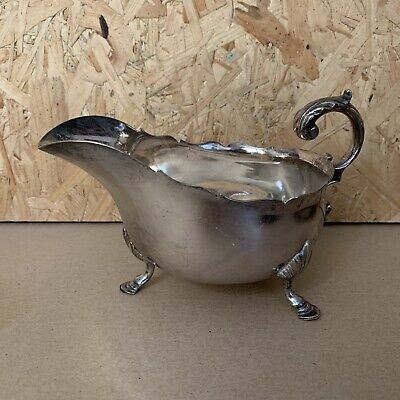 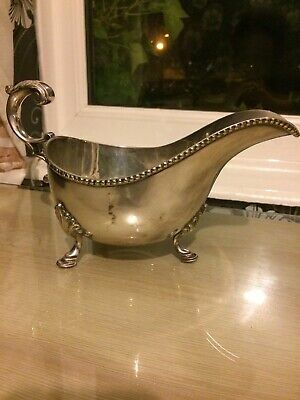 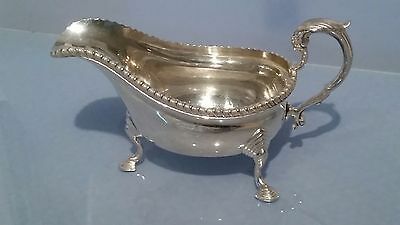 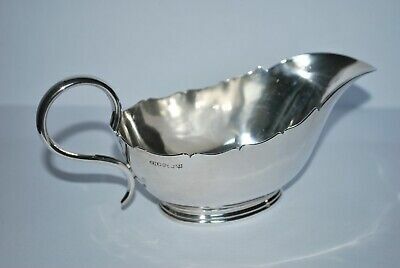 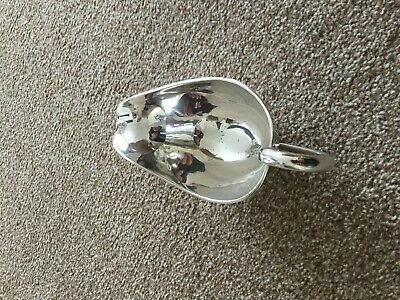 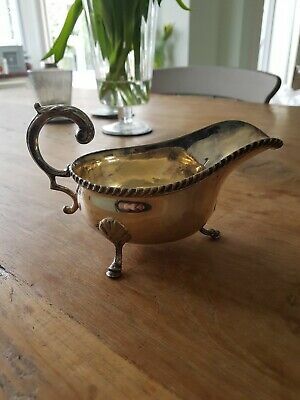 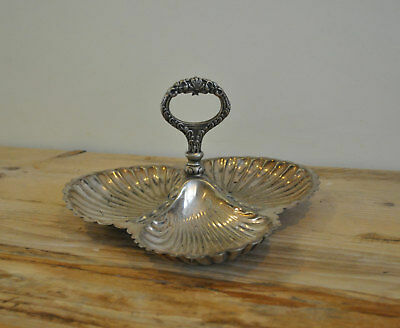 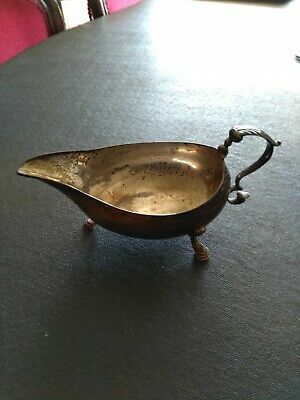 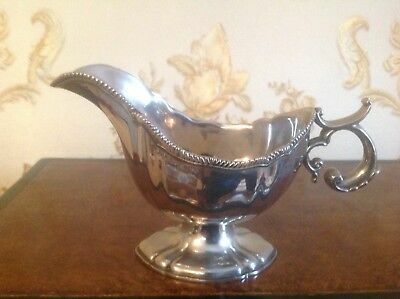 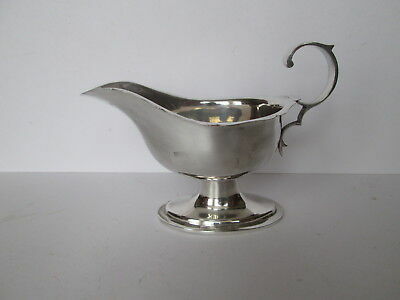 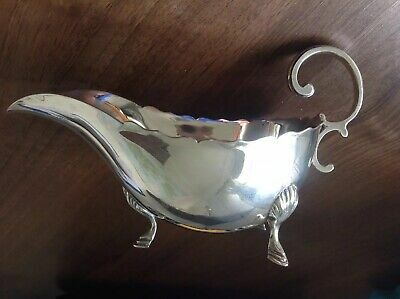 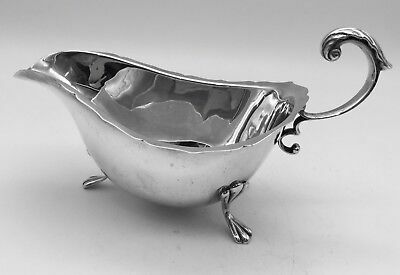 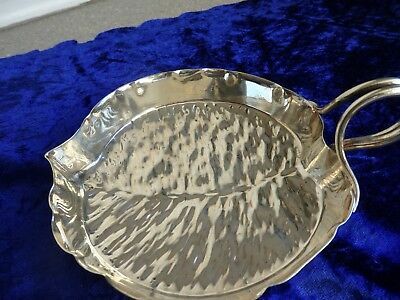 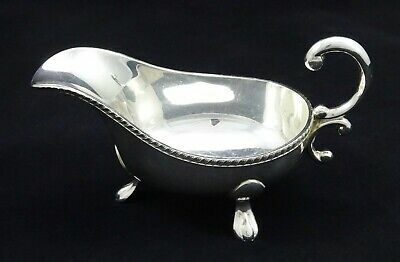 Antique, Large Silver Plated Sauce Boat. 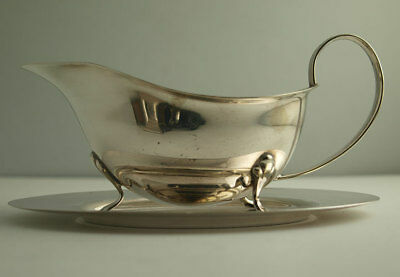 'broad Arrow' Silver Plated Gravy Boat. 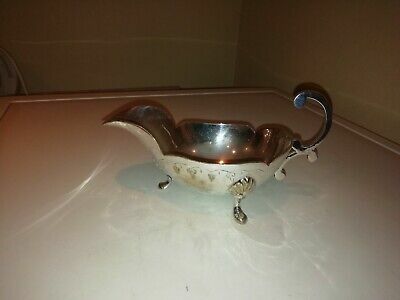 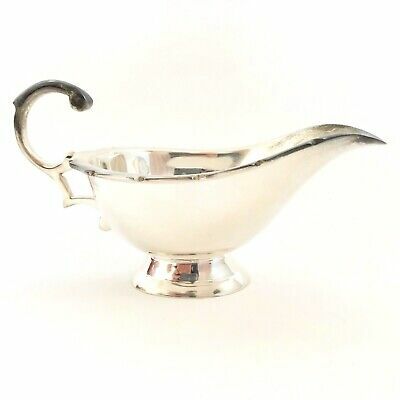 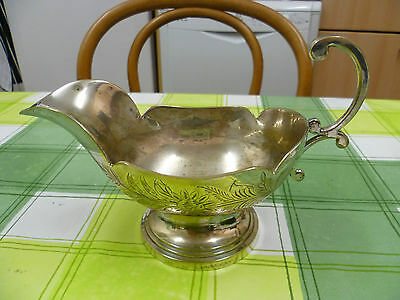 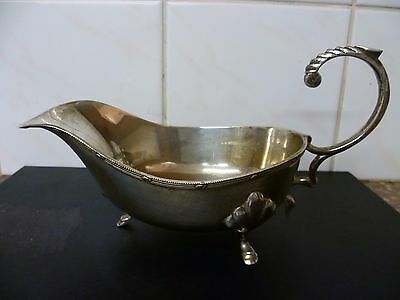 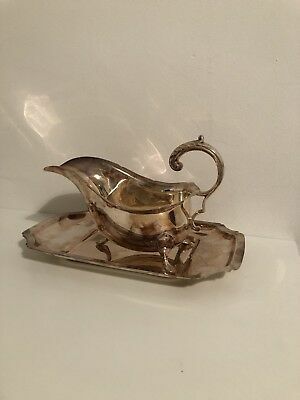 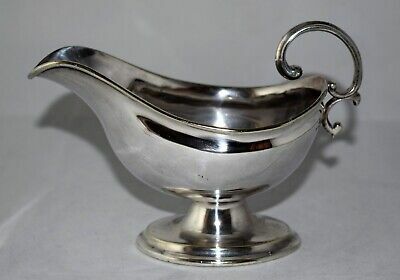 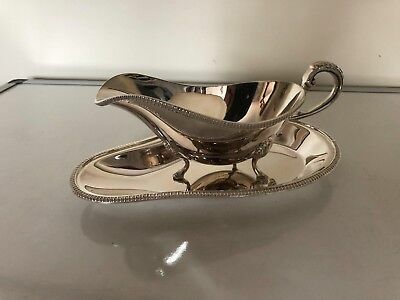 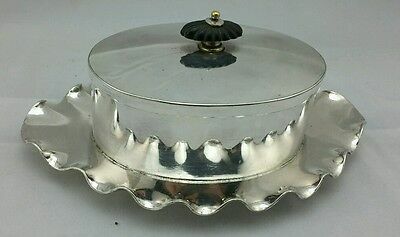 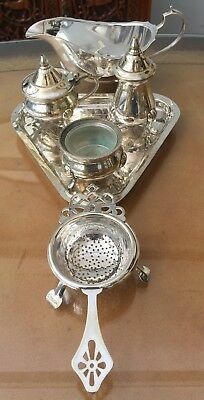 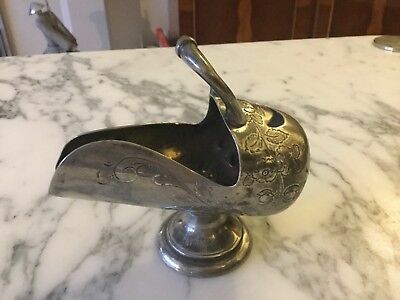 Antique, Silver Plated Sauce Boat. 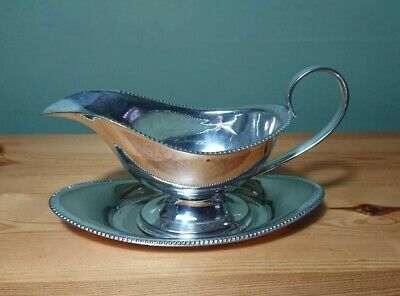 Antique 'arundel Plate' Gravy / Sauce Boat. 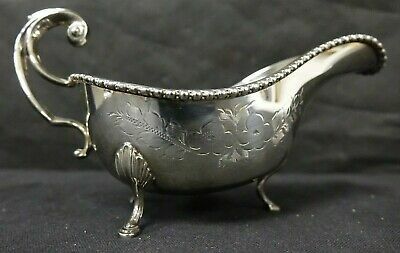 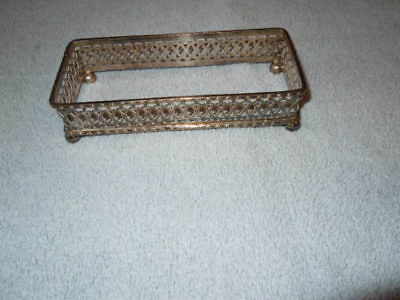 An Antique, Beaded Edge, Silver Plated Sauce Boat. 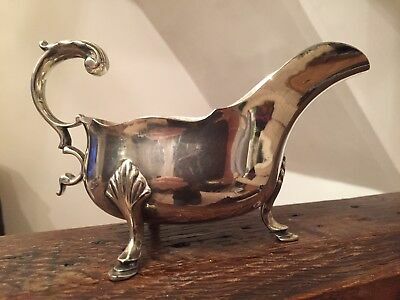 A Silver Plated Gravy Boat. 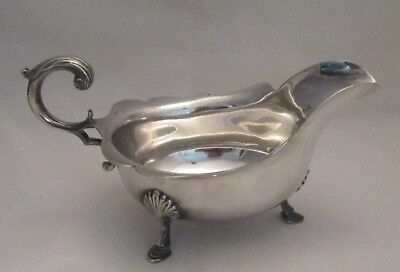 Pretty Silver Plate Sauce Boat.